8175GG - Grease+GardII Retrofit Skimmer Low Profile Type - Jay R. Smith MFG Co. Designed for installation on an existing grease interceptor for the purpose of converting it to an automatic grease removal device (GRD). The unique design of the Grease+Gard®II removes grease from the interceptor and discharges it into a reservoir for convenient disposal without having to remove the cover. The Grease+Gard II continuously removes fats, oils and grease from the interceptor reducing hydrolysis thereby maximizing recyclability. The Grease+Gard Retrofit units are adaptable to existing hydrochemical interceptors thereby alleviating a need for replacement or discard of existing interceptors. 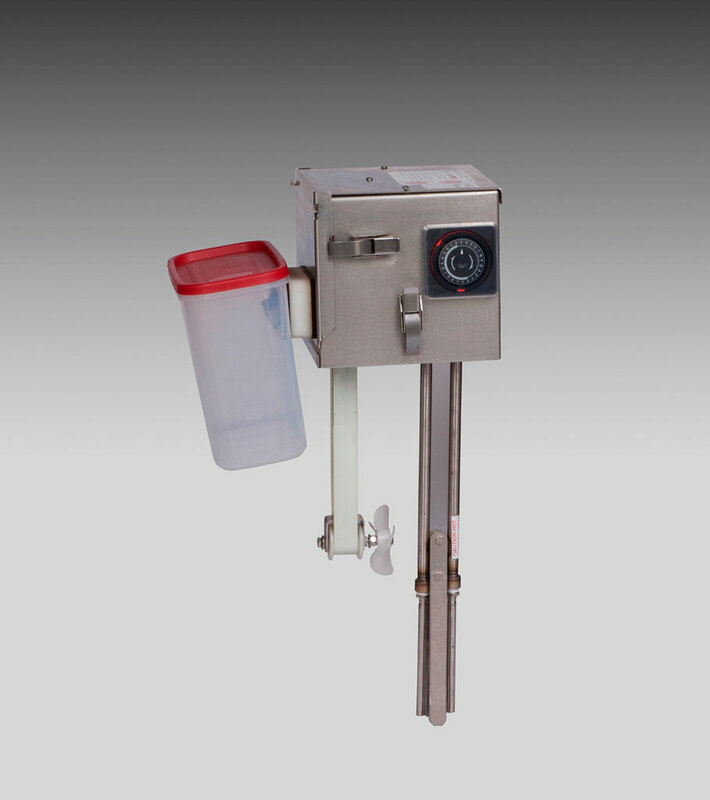 Low Profile Stainless Steel Housing, Adjustable Timer, Skimming Belt, Heater with Timer, Mounting Base with Gasket and Removable Grease Reservoir.